Pallet Racking installed at a site in Daventry by Storage Concepts Ltd has increased the storage capacity by utilising the available headroom within the warehouse. 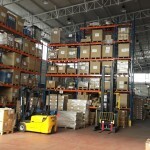 The Pallet Racking was designed to maximise the height by following the contour roof elevation of the building to increase the number of pallets stored. This has provided the customer with greater flexibility, full utilisation of the warehouse building height which has meant that they have been able to have a smaller, more compact stores and release more areas for assembly and production. Storage Concepts range of pallet racking was utilised to maximise the opportunity which provides storage for euro pallets 800mm wide front picking face x 1200mm deep weighing 1000 kgs each, storing 3 x 1000 kg pallets on a 2.7m wide beam providing 3000 kgs storage per level. 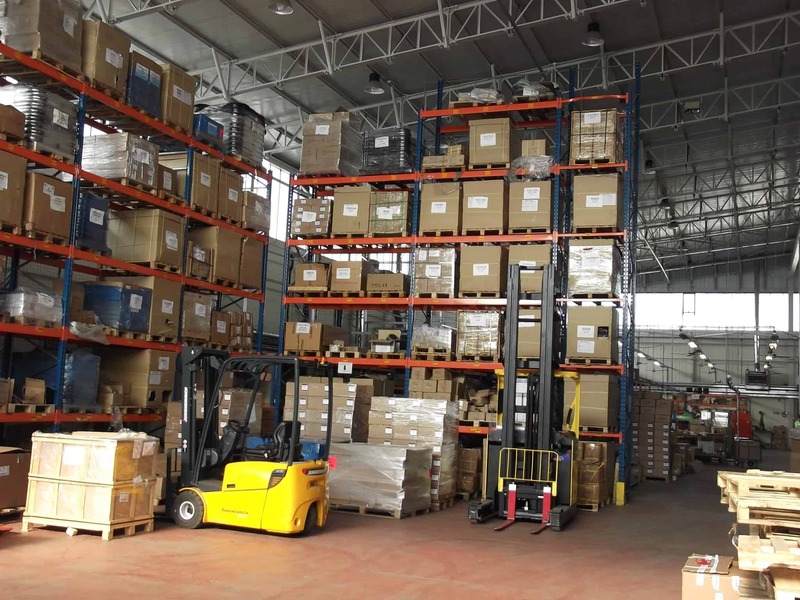 The Storage Concepts range of pallet racking is fully adjustable and totally flexible and is designed to accommodate any size of pallet, any weight. For further details regarding installing a suspended ceiling at your office please contact Storage Concepts on 01664 410414 or use the contact form here. Storage Concepts – Making Space Work for You.